Triops Inc., dba Toyops, expects that each retailer selling its products will comply with the Toyops Minimum Advertised Price (M.A.P.) 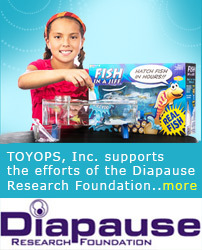 policy and will not advertise Toyops or Triassic Triops products for sale at a lower than published M.A.P. list. Retailers violating this policy will be given a written notice of violation along with a request for immediate remedy. In the event of a second violation, Toyops will reserve the right to stop selling its products to the retailer.